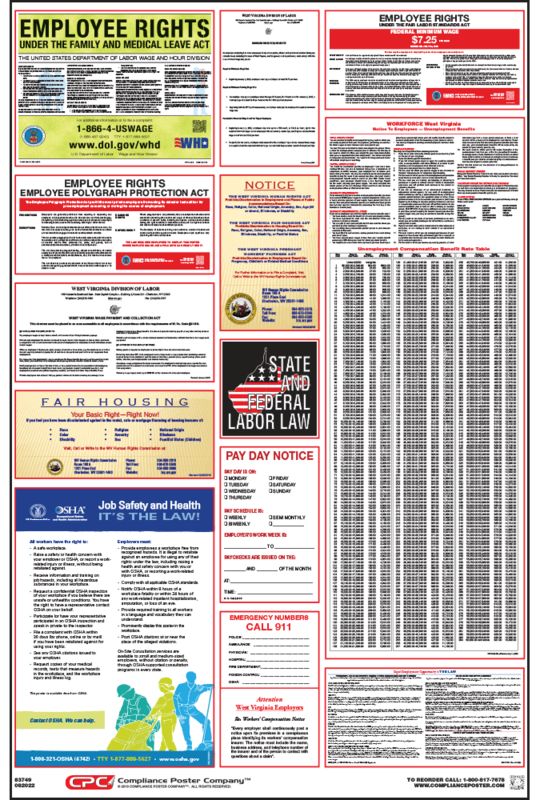 Federal and West Virginia laws require employers to post notices informing employees of their rights and protections while performing work for their employers. 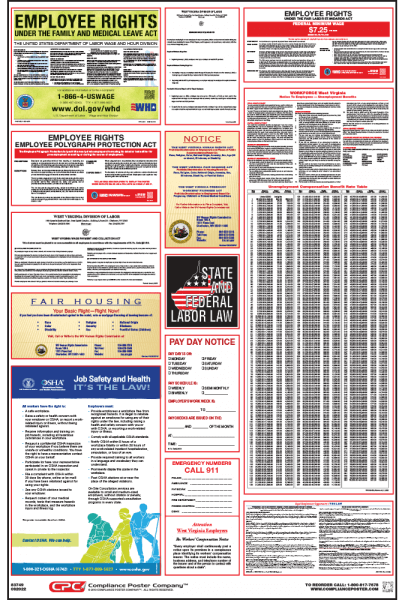 West Virginia Labor Law Posters contain each of the state and federal mandatory labor law notices that must be posted in the workplace. West Virginia Minimum Wage (2016 HB 4283) – (January 2018) Update reflects current minimum wage rate; expired minimum wage rates were removed from the posting. West Virginia Human Rights Act (2016 HB 4283) – (June 2016) Update added prohibition of discrimination in employment based on pregnancy, childbirth or related medical conditions.